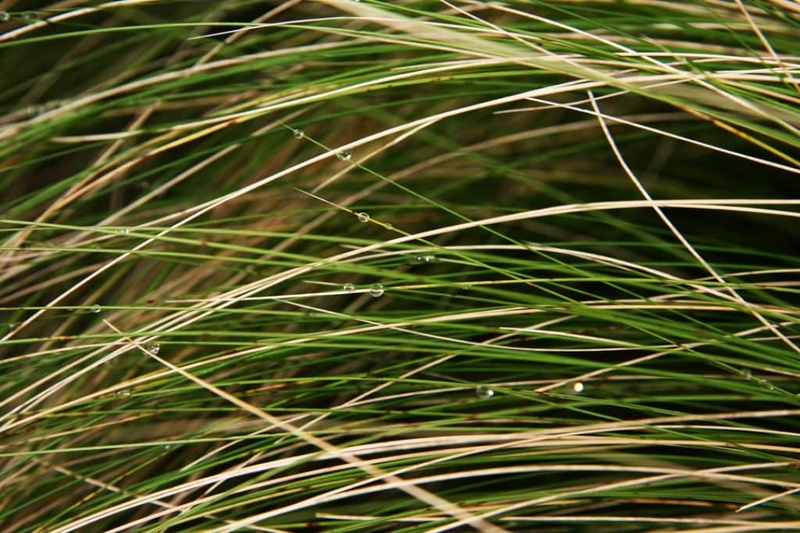 Feather Grass (Stipa tenuissima): growing, planting, caring. Nassella tenuissima - the Mexican feathergrass - is a species of grass in the family Poaceae, native to the south-western United States, northern Mexico and Argentina. It is a deciduous grass growing to 60cm, forming a compact upright tuft of thread-like leaves, with narrow, arching, feathery flowering panicles in summer and autumn. It is sometimes used as an ornamental garden plant but readily escapes, and has become naturalized in the San Francisco area. It is well-matched to climate in Australia and can be harmful to the Australian environment. Plant your stipas in the sun or possibly in the shade in neutral soil with limestone, rich and draining, from February to April and from September to November. Prepare the soil by a light digging (to decompact without necessarily turning it, with a pitchfork or a broadfork), a scratching and a raking. Plant keeping a spacing matching the final height if you want the clumps to appear separated, and half of it if you want a mass effect. Water thoroughly after planting. - In pots, plant in a mixture of compost, loam and sand, in a container pierced at the bottom, and equipped with a cup. - During growth in the first year, water once or twice a week. - For potted plants, water once a week from April to October when it is not raining. If the mixture is very dry, bathe the pot or planter for 30 minutes. - Water thoroughly, which means the water you pour should not disappear too quickly : a small puddle should form. Also water in case of summer drought. Fertilize before winter (while mulching for example), moderately decomposed compost or manure, and by a light scratching to incorporate. In this way, your intake will have time to decompose itself and will be available in the spring when the plant is restarted. Multiplication of stipas is done by dividing the tuft in March every 2-3 years. Mulch your feather grass - if there is room between them - it will prevent you from watering, weeding, protect from the winter cold, and even provide a slight fertilization on the ground. To choose, know that dry milled wood is the most inert mulch, but it will hold long. Fresh crushed wood and leaves enrich the soil more, but need to be renewed more often. Grass clippings are to be used in a layer of 1 cm maximum mixed with something else. Mulch at least 5 cm thick for good efficiency. This operation is important for stipas: cut all the dry foliage at the beginning or at the end of winter, to leave room and light for the new leaves that will emerge in spring.